Overall, this pro styler is fantastic for the one style it creates. If you’re looking for big, soft curls then you absolutely can’t go wrong with this. Tighter, smaller curls however, can’t be achieved so you need to decide what it is you’re looking for in a curler. With easily controllable temperature ranging from 130 to 210 degrees, it’s forgiving on any type of hair and still creates flawless waves on thick hair. 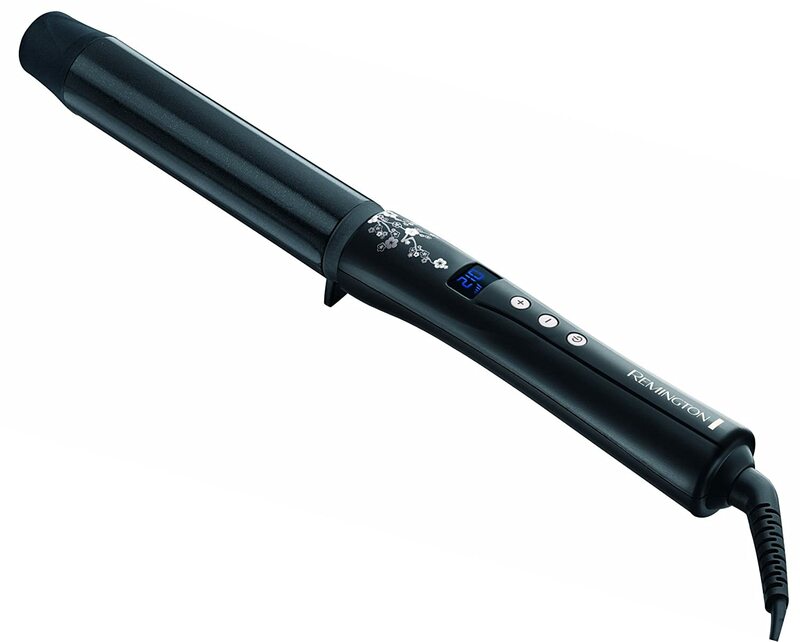 It’s easy to use and will curl your hair so fast you’ll even have time to paint your nails. After making personal care products and appliances since the 30s, it’s not surprising that Remington should know exactly what they’re doing. They have a wide range of hair styling appliances and also a wide range of curling specific appliances; it can get pretty confusing as to what the differences are but carry on reading to see if this Pro Curl Hair Styler is right for your hair. This curling wand is specifically designed to give big, loose curls and beautiful waves, making it ideal for longer hair. The 32mm barrel is a good size and gives luxuriously soft, bouncy curls. The coating isn’t just ceramic, but ceramic infused with pearl that is designed to give a smoother, silkier finish. This actually does work well and even if your hair isn’t wonderfully clean to begin with, it is still left with a silky look. 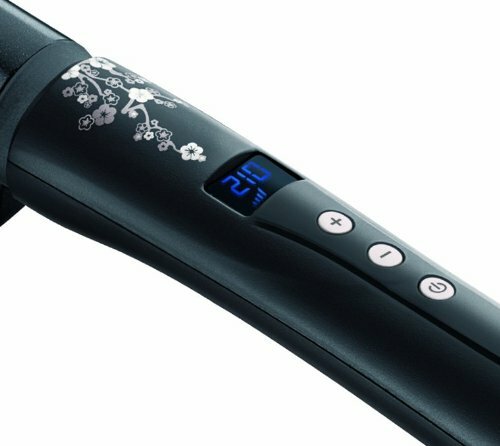 This curler has a really wide range of temperature settings which are adjusted by simple +/- buttons with the temperature displayed on an LCD screen. This range is really important for fine or delicate hair to ensure that it doesn’t suffer from heat damage but it’s also important for thicker hair as the higher heat is more effective on it. The easy-to-read display means you always know exactly what temperature it’s at and it also has a lock button so you won’t knock the temperature! The trouble with curling your hair is that frequently the curls will fall out within hours or won’t survive a brushing. This styler creates smooth curls that stay for a noteworthy amount of time which is a real bonus. As it is designed to create larger curls, it’s not as flexible as other curlers might be in giving you a range of styles but the one curl it does, it does very, very well. It has an auto shut-off after 60 minutes which is pretty standard and a 3 metre cord which could be annoyingly long but, again, pretty standard. The cord is swivel which makes it really easy to use and a heat resistant pouch and glove is included. For these types of wands, a heat resistant glove is really important and this one feels good and works well. The tip is cool and quite large making it a bit easier to handle and put down. Its heat resistant pouch is a nice touch too and is useful for transporting it anywhere. 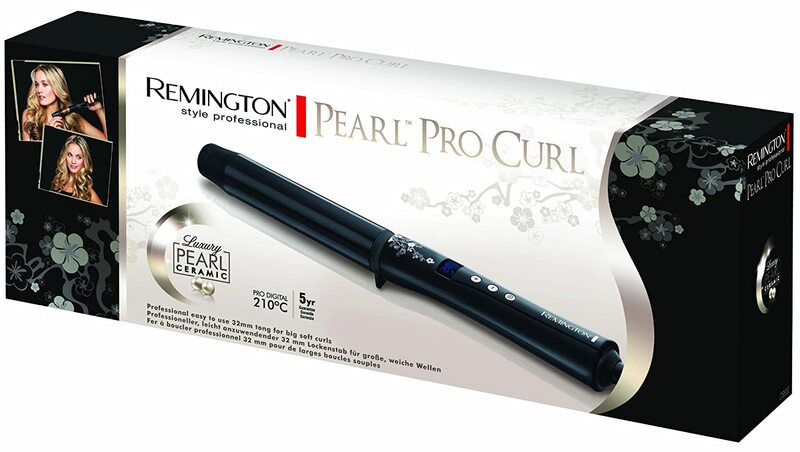 As with the Remington Pearl CI95 Curling Wand, this curler has a floral decoration and looks sleek and sophisticated.